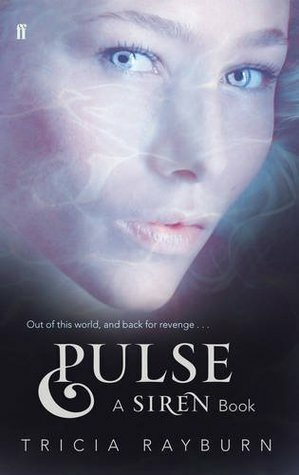 Below are mini-reviews for the following books: Fateful by Claudia Gray, Firelight by Sophie Jordan, and Pulse by Tricia Rayburn. Whenever I go through a prologed book slump, it is usually the fault of a decline in my mental health. I sink into a depression and I don't feel like reading. It's pretty simple. And I've found that when I'm in a depression, the books I really like to read are those that are very emotional or dramatic. And what's more emotional and over-the-top in its dramatics than a good paranormal romance, right? I find myself drawn to the overly passionate paranormal romances in order to stir some emotion in myself. Sometimes it works, sometimes it doesn't, as the following reviews will prove. Fateful by Claudia Gray is quite a strange book, in my opinion. I couldn't help but be intrigued at the thought of werewolves on board the doomed Titanic. What an absolutely fun thought that is! And as long as you're able to ignore the silliness of the premise and just go with it, Fateful is quite a fun book to read. I really loved the detail in the beginning as the Titanic and its passengers are being described. It just seems like a lovely time period and I began thinking that this would have been a great historical book on its own, let's not get into the werewolves at all. But there are werewolves in this book. And once they make their appearance, Fateful is split into two clear halves. The first is the beginning with the lush descriptions and lively atmosphere of being on board a luxury liner like the Titanic. And then there is the story of the werewolves. And while werewolves are definitely my favourite of the paranormal creatures, I felt like this second half was a tiny bit of a letdown compared to the first half. While I do remember thinking the male lead was a bit of all right, I don't remember connecting very well to either him or to the main character Tessa, and found something a bit lacking in their relationship. I don't know. Another book I enjoyed for the most part, but definitely wasn't blown away by. 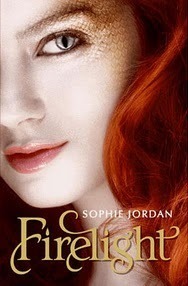 I really wanted to read about dragons and Firelight by Sophie Jordan seemed to be quite an interesting look the subject. I especially dug the idea of in a paranormal romance like this is, that the girl is the supernatural creature (in this case, Draki which are descendants from dragons) and that the boy love interest is human (though aware of draki and is in fact a dragon-hunter). So often it is the other way around. Unfortunately, I don't quite recall very much about this book after reading it a few months ago. Part of the summary that I'd read somewhere mentioned mortal enemies and a doomed love affair. I don't recall anything quite so passionate! I remember enjoying the book as I was reading it, but not enough of the book made any impact for it to leave a lasting impression. I don't think I'll be hurrying out to acquire the sequel. I really, really enjoyed the first book in the series, Siren. But I remember being slightly confused at the end that book and some of that confusion was carried over into this book. Still, I really enjoyed it. I quite love a series on a supernatural creature (sirens) that I haven't come across often or at all. But what I really wanted in this story, the reason I picked up Pulse to read is that I wanted to see more of the relationship between Vanessa and Simon. This was not to be. And looking back at it now, I guess it's understandable that this isn't the case. Vanessa is going through such a lot in this book, her transformation into siren is complete. She's attracting the attention of men very noticeably now, she's still torn up about the loss of her sister from book one, she's struggling with the fact that she has been lied to her entire life. She's facing urges to bathe in saltwater and she gains power from the attentions of Parker which she finds she likes and needs. But Simon! I wanted things to be better with Vanessa and Simon, but I don't think they could be with Vanessa questioning their relationship and constantly wondering if Simon has ever really liked her, or if it is all down to her siren allure. Tough situation to be in. I thought this book was incredibly interesting and I loved spending time with Vanessa as she made mistakes and worked on her insecurities and found out more about sirens. It is quite a bit angsty with sort-of triangle going on, but I still missed the presense of the Simon from book one! I loved the first half of Claudia Gray's vampire series but not so much the last two and that's put me off her books. Maybe I should give her another chance! I never got into Claudia Gray's vampire novels at all! They skipped me by entirely, it seems!